Did a great job on my car detailing! Highly recommend! Great experience. No hassle, love the Tahoe. Would recommend. Excellent service and great showroom. Worked with Mike Jones and he was super helpful. Absolutely no pressure and easy car buying experience. When the time comes for another car, I'm taking my business to Jones Motors. They do a top-notch job and you feel like you're buying from a good friend. I had been searching for a used Camaro SS 2SS for some time and found a prospect on the Car Gurus and so happened it was at Jones Motors. It is by far the cleanest used Camaro SS I found. The shop itself is immaculate and all the used vehicles were very very clean. No pressure, no bickering, and Shane worked with me. 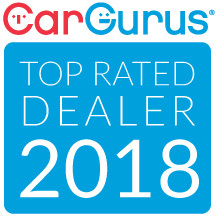 It was the best experience I've ever had with any car dealer new or used. I'll call them next time I'm in the market and ask they find me a clean vehicle. The drive down from Camp Verde for me is no issue for this level of professional no BS service and CLEAN quality used vehicles. Customer for life. This place rocks. Made buying a car hassle free and not anything like what most people expect when buying a car. They will have my business again. I just recently worked with Jones Motors for first time also my first time at a used car dealer. I came in off a recommendation from a close friend of mine who knows Mr. Mike Jones (owner) and knows of the dealership. Mike is currently helping search for a particular used truck for me. I'm writing a review now just to share so far how pleasing its been with Jones Motors really stand up service. This is google so Long story short I'll just say from meeting with Mike about locating a truck for me to hiring Jones other services for detail and repairs on my current truck readying it to sell myself. I had a great experience, got quality and thorough work and genuinely nice, trustworthy customer service from all the staff. Good place to work with and great people. I look forward to dealing with again. Thank you Mike, Alex and others! Kirk Patten is my nephew but I have to say he is one of the most honest caring persons I know. He will do whatever is in his power to help another individual. He knows his car business too. You will never be sorry when buying a vehicle at Jones Motors having Kirk as your salesman. I had been searching for a Used Van for my HVAC company for over a month. I am very picky but I found what I was looking for at Jones Motors. It was so clean it looked new. Kirk Patten make my experience there extremely pleasant. All went smoothly and I was out of there in no time. This is where you need to go when you don't need the games like most dealerships. I will be back! By far the cleanest place & selection in Mesa. Shane worked with be to get me into a beautiful Civic within my budget with hassle free service. Be sure to check out this showroom as it has the most pristine collection on Broadway. Purchase a car from Shane a few year back which survived 2 high schoolers as a stint at college and just had another vehicle detailed. Both of our experiences w...ith Jones Motors has been superb! Staff is friendly & professional. Shane gave us great value for our dollar and on the detail; well my Expedition looks brand new! This is our primary vehicle; trips, kids, friends & grand baby! Thanks Jones Motors... we'll be back! Mike Jones is absolutely top notch. He was very accommodating with my schedule and worked with me extensively to find the best financing for my vehicle. The selection and quality they offered was well aligned with my needs. Highly recommend Jones Motors! Great business, I'm a dealer myself and I've always sent people to them when I was unable to finance. Always hear good things about them, to me they're a solid legitimate business worth checking out. What a nice place. The Jones Brothers are solid people in our community and Kirk Patton is the man to see. Jones Motors is dedicated to providing the ultimate automobile buying experience. Jones Motors is your #1 source for buying quality pre-owned vehicles as we specializes in 1-owner, lease returns, and like-new vehicles. Enjoy a quick and easy process as most of our customers are in and out the door in under an hour. Deal with only one person from the moment you walk in the door to driving off the lot. Our inventory is stored in a climate-controlled warehouse, so you can browse with ease! We specialize in finding vehicles for our customers if you are looking for a vehicle outside our inventory, we can find it for you. In addition, we offer a full array of financing options to meet your needs.